Watercress is a low-calorie green leafy vegetables and has only about 10 calories per 100 g raw leaves. It is rich in anti-oxidants and is low-fat. I first learned of this vegetable from Dr. Fuhrman. 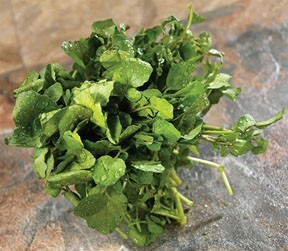 Watercress has more vitamin C than many other fruits and vegetables. 100 g of leaves provide 47 mg or 72 percent of RDA of vitamin C. This food will help fight free radicals and can prevent cancer. I eat tomatoes every single day. I've always loved tomatoes, since I was a kid. Back then, I didn't eat them because they were healthy, I just ate them because they tasted good. The red color in tomatoes is from lycopene. This bright red carotene and carotenoid pigment and phytochemical found in tomatoes can help protect against cancer. It also protects the body against damage from free radicals. 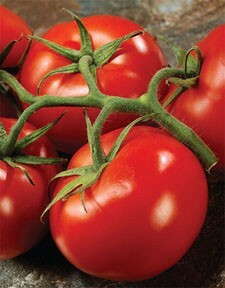 Lycopene is also found to suppress the growth of human cancer cells. Popeye had it right years ago when he said "I'm strong to the finish cause I eats me spinach..." Spinach is just awesome, packed with protein, vitamin A, vitamin K, magnesium, folate, manganese, iron, calcium, vitamin C, vitamin B2, potassium, and vitamin B6. Plus, it also has selenium, an important nutrient that many people lack in their diets. I need a lot of protein in my diet and this is one of the many foods that I try to have every day. I usually cook it, but it's great raw too. Just make sure you wash it well or buy organic. 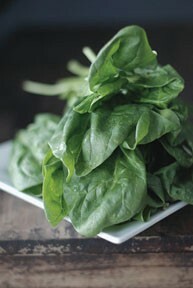 Spinach can have a lot of pesticides. I want to start this article by thanking Dr. Oz for mentioning quinoa on his show a few months ago. I had never heard of this grain before and learned about it's health benefits when it was featured on the Oz show. 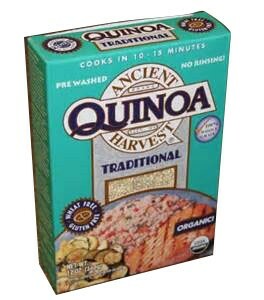 This healthy grain has been an important part of my diet ever since. When I was working out a while back, someone was talking to me about protein. 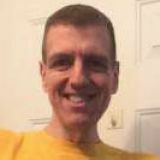 I've been doing strength training and protein is especially important for gaining muscle. He felt I was getting a low amount of protein. I am now trying to get around 120 grams of protein each day, but it's easier said than done. I know a lot of people are tired of hearing about "superfoods". It seems like that's all you hear about when you read health related news. But I thought you would like to learn about some of my favorite superfoods that I've been eating daily. I'm certain these foods helped with my weight loss and lowered my blood pressure. Over the next few days I will focus on a different food. First up is pomegranates. I learned about this fruit when searching the internet for foods that would help to lower blood pressure. This food apparently is as effective in lowering blood pressure as a medication. Another benefit that I read about recently, that everyone will love: pomegranates have the ability to get rid of abdominal fat.